starting today, and over the next three days, The Leela Palace Hotel will see a gathering of celebrated artists and jewellers from the city and outside, courtesy the inaugural edition of India Arts & Gems Fair (IAGF). The fair aims to a�?make art purely available for arta��s sakea�?, and give painters, sculptors and jewellery houses a platform to interact with art aficionados and collectors, much on the lines of international art expos. Forty five artists from Karnataka, Telangana, Tamil Nadu, West Bengal and Kerala have been curated for this edition by artist, film maker and writer Meena Das Narayan. She is organising the art event along with Jaidev Nedungadi from MNJ Productions and Elfa Shroff from Eventalya. Niche jewellery houses such as C Krishniah Chetty & Sons, Entice, Gitanjali and K Jewellers, among others, are also putting up their artistic pieces on display that are priced at `40,000 onwards. While the line-up of established artists includes names such as Karnatakaa��s JMS Mani, Bhaskar Rao and Ravindra Salve, West Bengala��s Amit Bahr and Sanjoy Majumdar, Delhia��s Dheeraj Mandhyaani among others, the fair has also picked up promising talents such as Vimalnath, Devi Priya, and Abdullah Pathan. These artworks begin at `15,000 and can go up to `15 lakh. Paintings by BKS Verma and Vimalnath are a must-see, as well as the sculptures done in wood and metal, we are told. Patrons of precious jewellery can walk up to the K Jewels stall to check out its exclusive pearl collection, replete with intricate designs. Krishniah Chetty & Sons will not only display their diamond, antique gold and gemstone jewellery pieces, they will also unveil their Margosa collection. You can also sample Enticea��s emerald works, or princess of diamond pieces set in white gold. 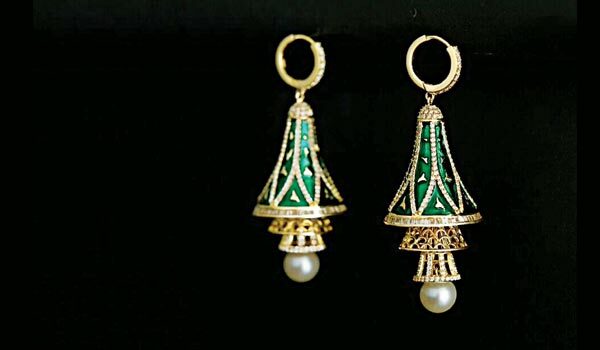 Its antique gold jewellery collection comprises one-off pieces crafted using yellow gold with hints of coloured gemstones. Narayan says that shea��s always felt a vacuum when it comes to genuine appreciation of art in the city. So she is hopeful that the fair will be successful in bringing makers and patrons of art face-to-face. a�?Next year, we expect participation from at least 100 artists from India, and around the world,a�? she adds.